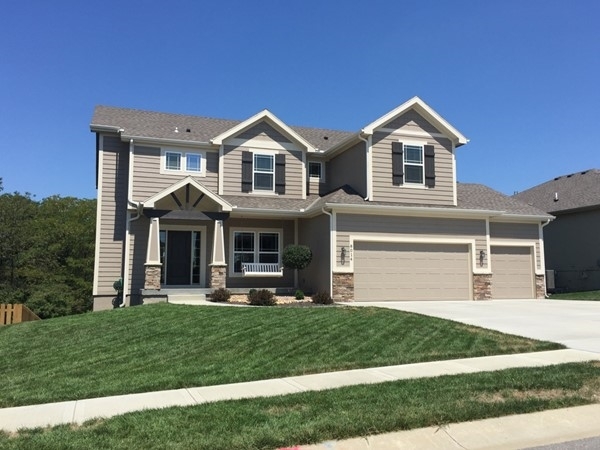 Find area information and real estate listings for the Benson Place Subdivision, Kansas City, Missouri. 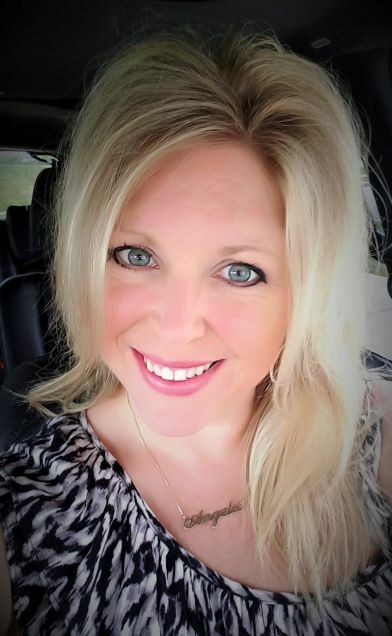 Learn more about Benson Place, including available homes for sale, school info, and area reviews, from a local RE/MAX real estate agent. Welcome to Benson Place! This neighborhood is the one for active families and individuals. 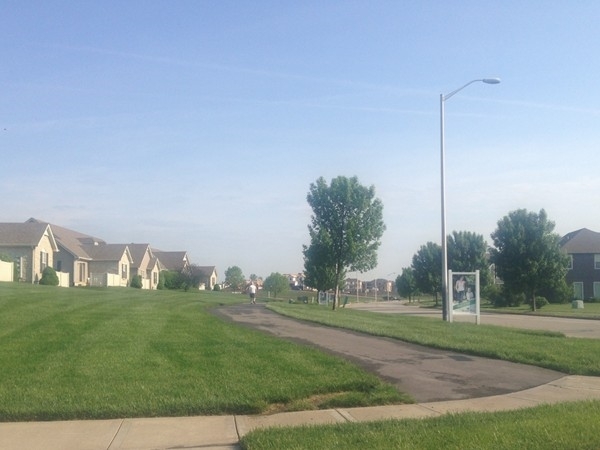 You will find that 96th Street and Hodge Park are great locations for biking, walking, and running. 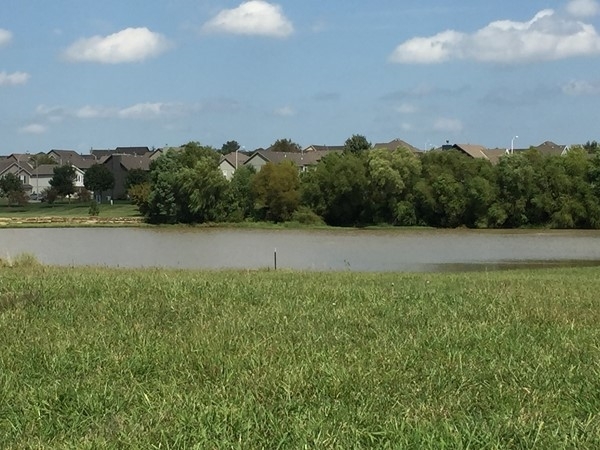 Benson Place features a swimming pool with a kids splash park, five-acre pond, playground, walking trails, and over 40 acres of natural areas. 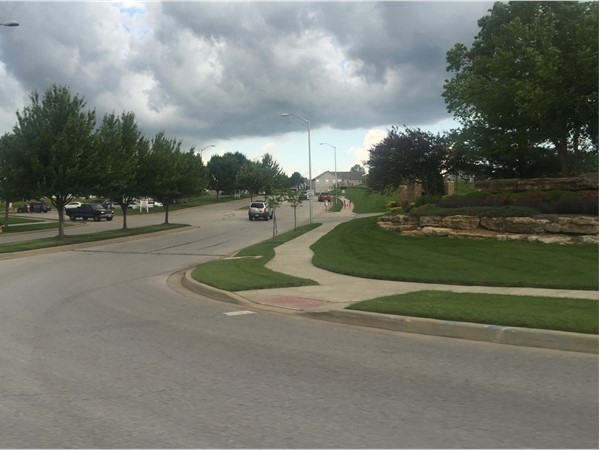 Benson Place is located in Kansas City, Missouri, and it falls in the Liberty School District. 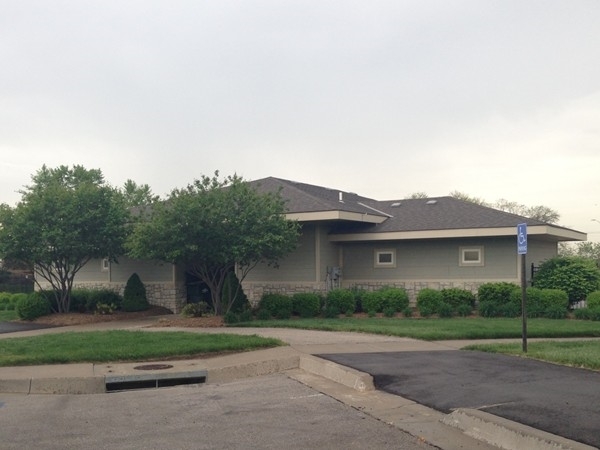 Benson Place is a Hunt Midwest Development with several builders to choose from. The overall neighborhood features a diverse selection of housing. 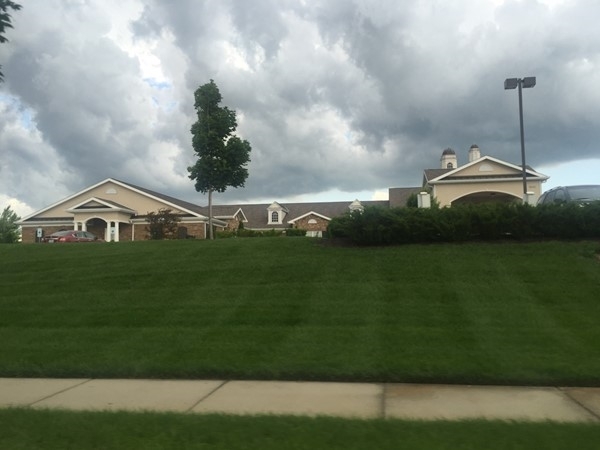 You will find townhomes, villas, and single family homes. 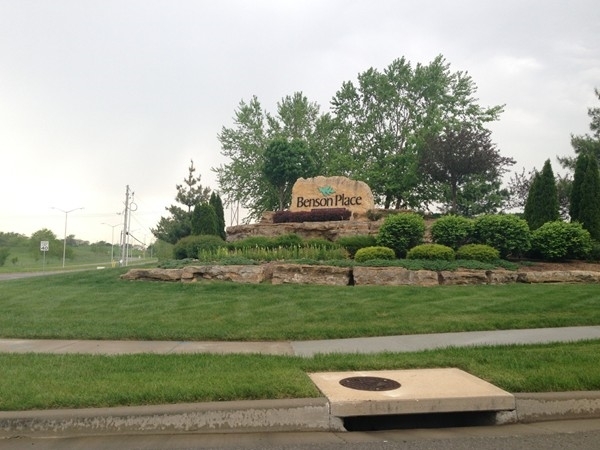 A very nice maintenance free community in North Kansas City with great amenities awaits you at Benson Place. 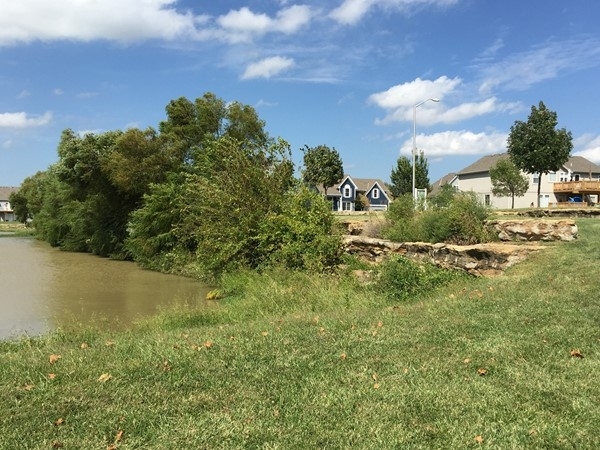 Enjoy the multiple subdivision swimming pools, walking trails, a fishing lake and green space. With several floor plans to choose from that include some great upscale features, you might just want to call Benson Place home! A majority of the homes are currently in the $275k-$375k price range. 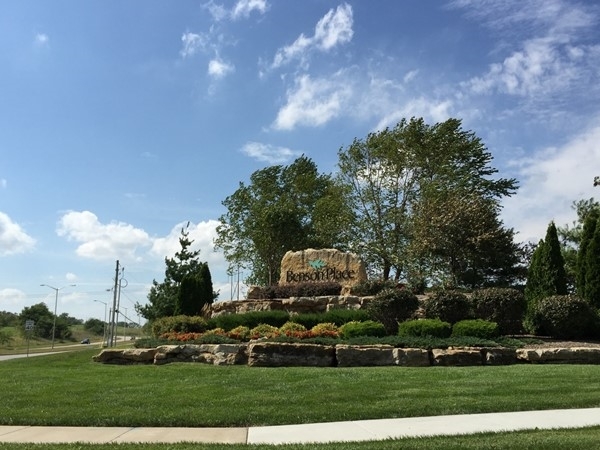 Benson Place is a Hunt Midwest community making up a 483-acre, master-planned neighborhood comprised of over 1,300 homes. 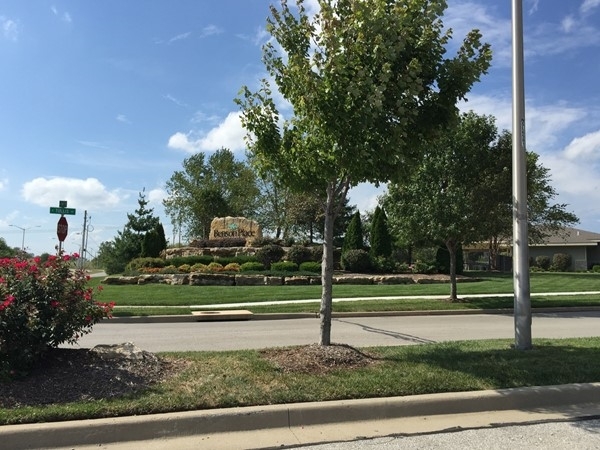 It's located in the northern section of Kansas City on the outskirts of Liberty, on 96th Street just west of Flintlock Road. It features easy access to I-35, I-435, M-152 & M-291 getting you further up north in the Northland or to Historic Downtown Kansas City. 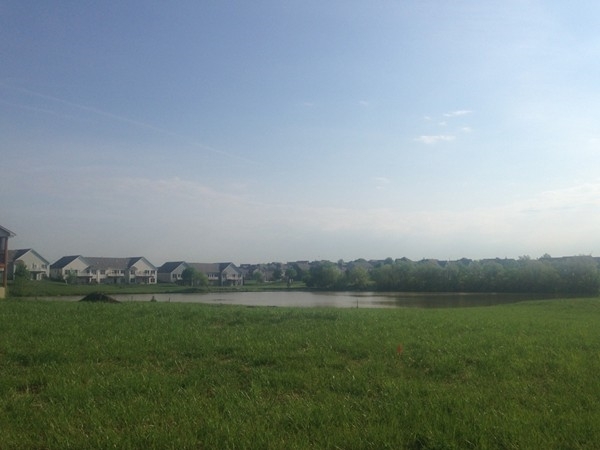 New Homes begin in the mid $300,000’s and are surrounded by several amenities. 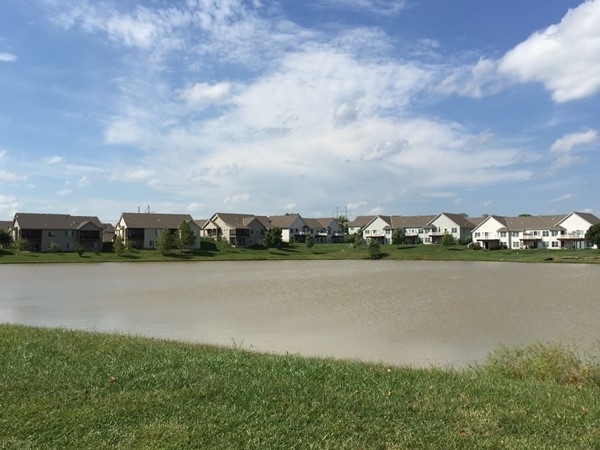 The community features two community pools, a lake, playground, splash park, and trails. 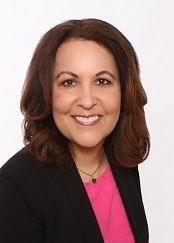 There are many resale homes for sale in the area, single family homes, townhomes and villas. These start at $200,000. 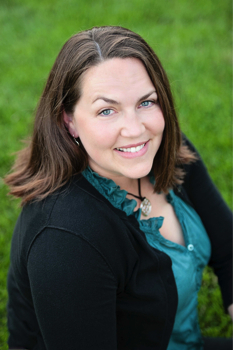 I live in Benson Place myself with my family, and it is a wonderful place to call home! The community garage sale is this weekend. Drive through and see this great community. Neighbors mark your calendars, on July 28th, Benson Place is hosting Luau at the Pool! Admission for the whole family is free and the party starts at 7:00 p.m.There will be multiple games, swimming, food and music. Sounds like it will be a great night with your family and neighbors! Parents and kids alike love the dedicated play area for children within the community. This among many other community amenities is a favorite! 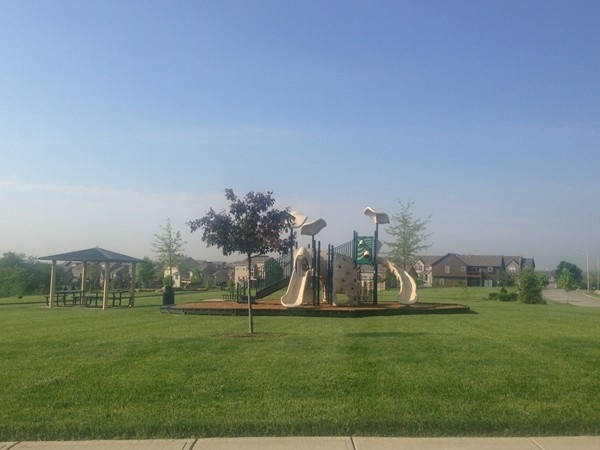 This playground is located off the main entrance to the subdivision. Another reason to love Benson Place! Come one, come all! Benson Place will be having their annual Fall Neighborhood Garage Sale this weekend on September 25th and 26th. 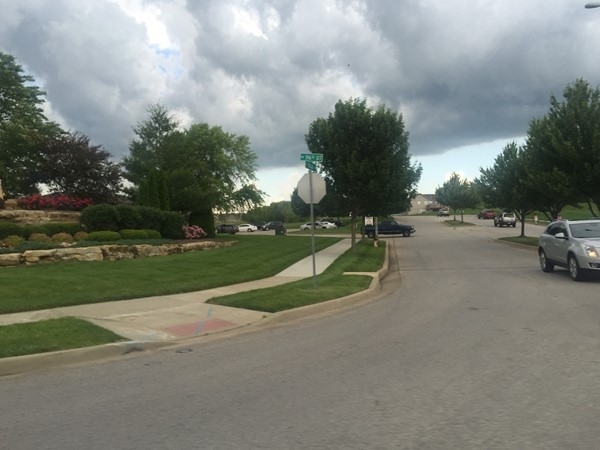 This is a large subdivision that will have quite a lot of sales going on. 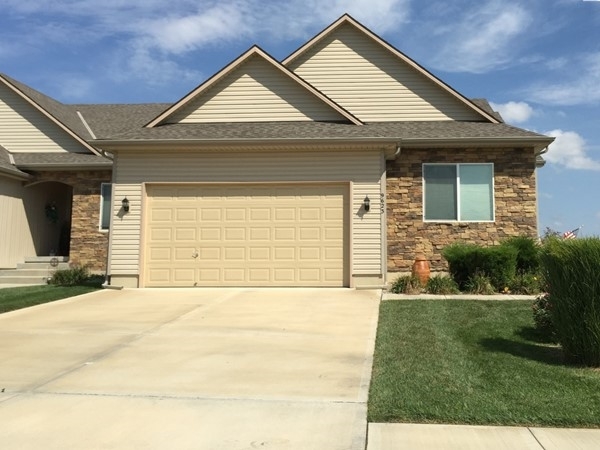 While in the neighborhood check out some of the newly built homes offered there. Sounds like a great weekend to be out and about! Neighbors of Benson Place, come out for some fun this weekend! Benson Place is holding their Fall Neighborhood Block Party this weekend September 26th at 3:00 pm. Come on over to 102nd Street and Tullis for the party. There will be a food truck and drink vendors for all to enjoy. The kiddo's will love the inflatable attractions and yard games. There might even be a surprise visit from the Kansas City Fire Department! The cost is $25.00 per household. Sounds like a great afternoon with your neighbors! If your looking for a community where everyone knows your name, Benson Place may be where to call home. Everytime I am here, the community is always buzzing with activities. 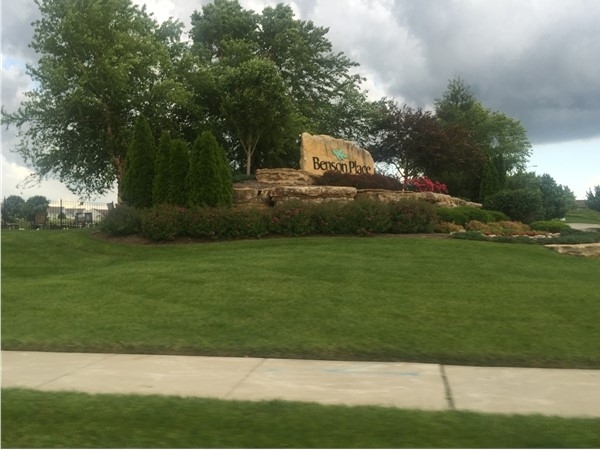 The pools are full of friends and neighbors, families are fishing at the lake, children are playing at the play grounds, and there are always a lot of people taking a stroll along the walking trails. Benson Place has a warm feel as you see all the neighbors utilizing all the amenities available and joining together in various activities. 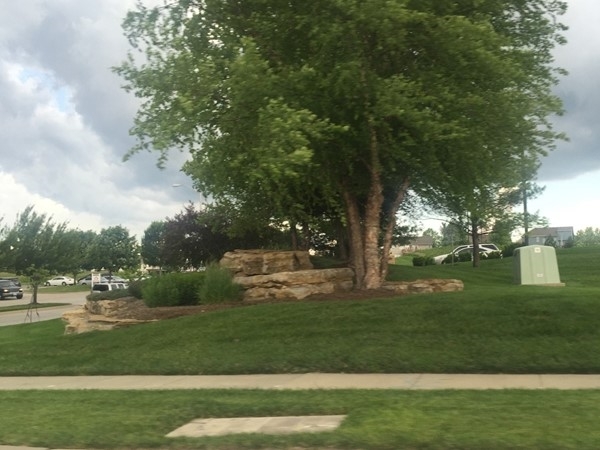 Benson Place is near Northeast 96th Street between I-435 and Northeast Flintlock Road. 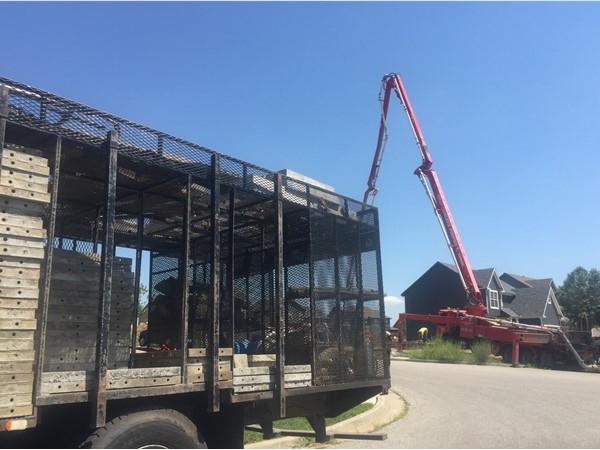 This community will total 1,300 single family homes, townhomes and villas. 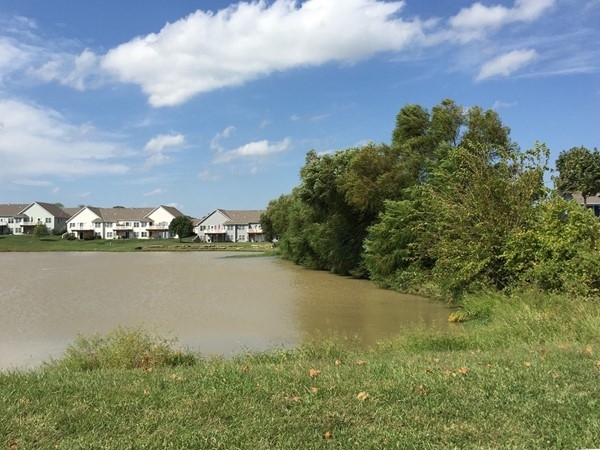 Amenities include a community swimming pool, children’s splash park, fishing lake, playground, ample green space and nature trails. Benson Place is just a few minutes drive away from shopping, dining and entertainment. Benson Place is a fabulous community that offers single family homes, townhomes and villas. There is something here for everyone. 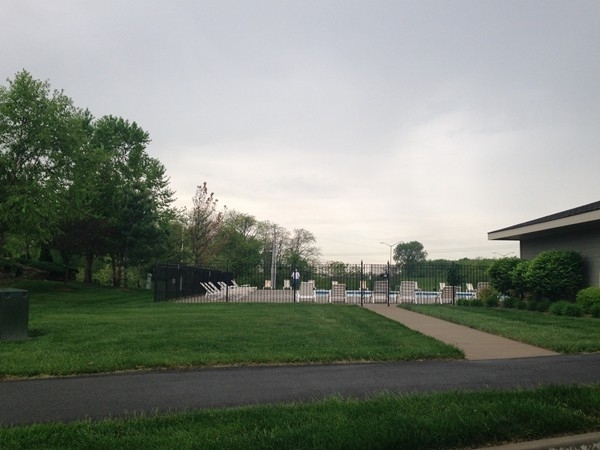 This community also offers a swimming pool, playgound and more! I have always thought Benson Place has had great pride in community. The article below, from the Kansas City Star, shows this pride. Way to go to the kids of Benson Place! Benson Place is an award-winning community many times over. 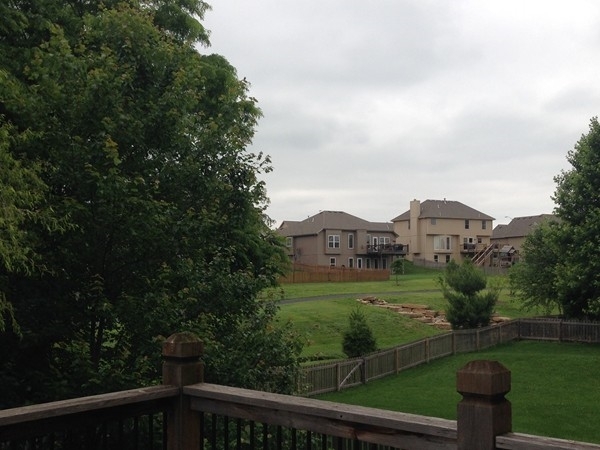 This subdivision offers something for every generation. The smaller 2 story town homes are nicely designed and caters to the singles and young couples. Many phases of single family homes of all sizes and price ranges are available and new construction is still happening. 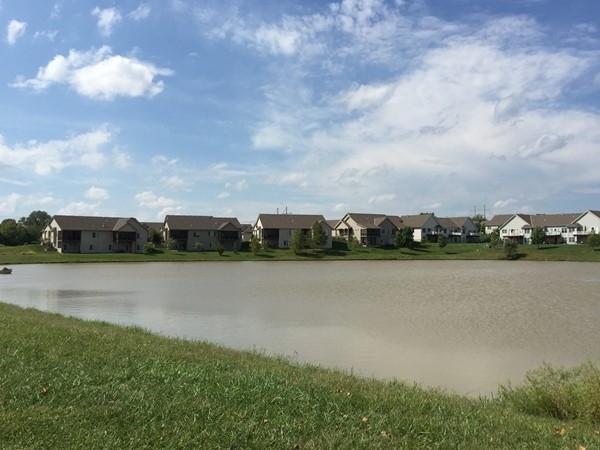 The patio/villa homes at Benson Place Lakeview offer detached town home style living overlooking a tranquil lake frequented by geese and is kept fresh with aeration fountains. 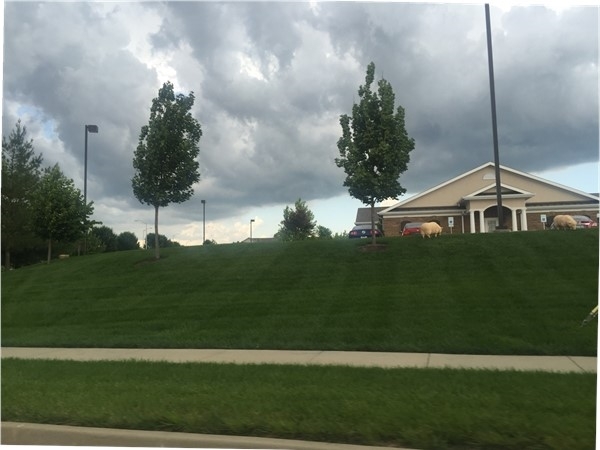 There is even a senior living facility right there in the subdivision. Need Child care?- Right there on your way out of the neighborhood. 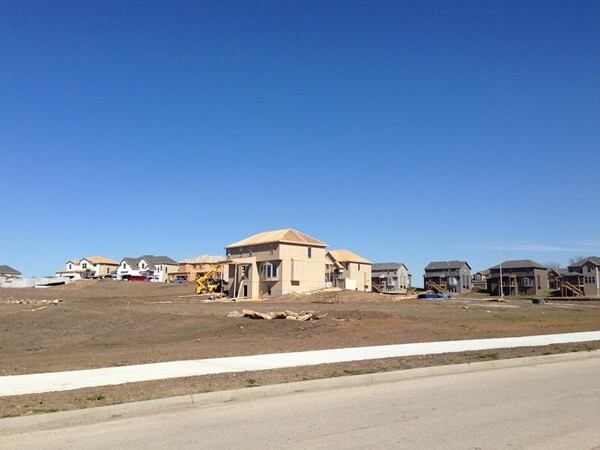 The developer has even maintained a few "untouched" areas of native prairie grasses. 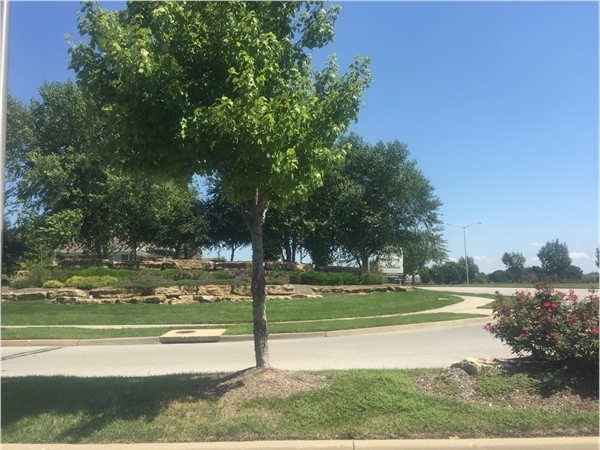 Pool, splash area and walking trails are just a few of the amenities this community has to offer.